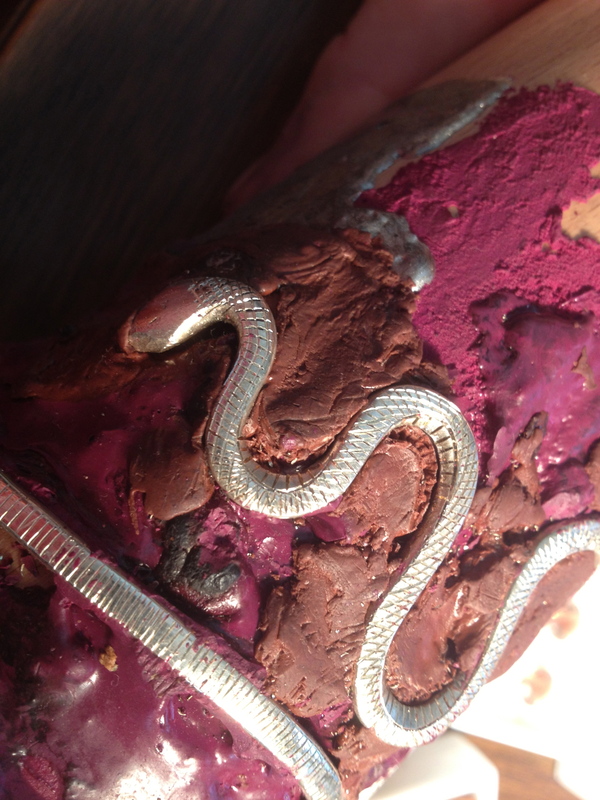 Here are some photos of the current works in progress. 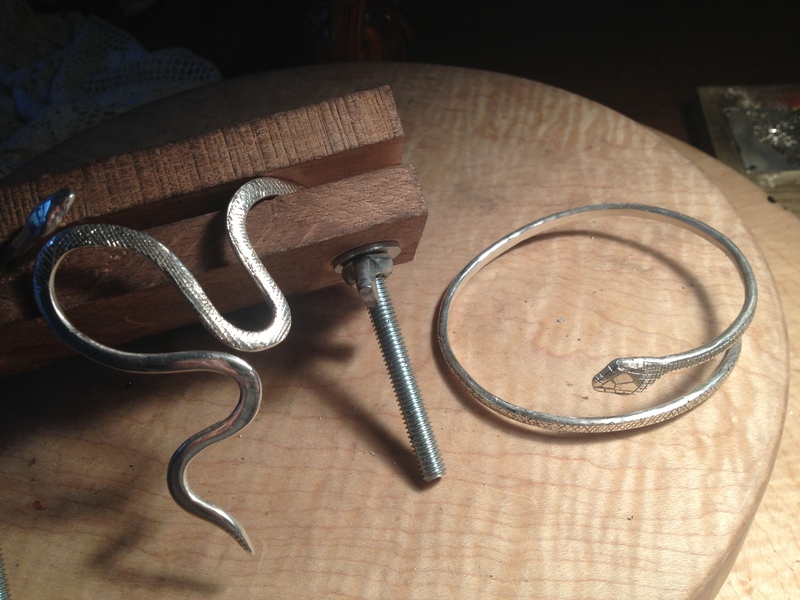 Lately I’ve been making a lot of snake pieces. Most are engraved. 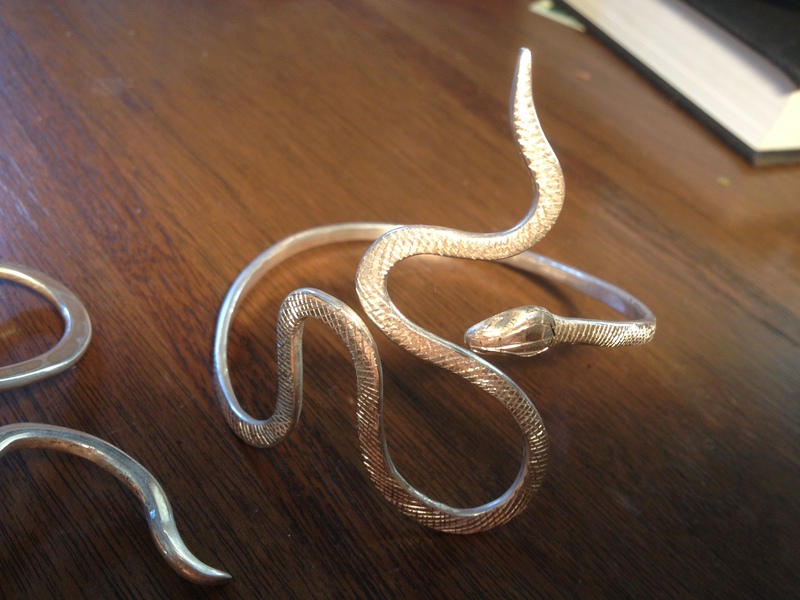 Some have golden tongues, some will have diamond eyes, and a few will have small silver rattles on their tails. 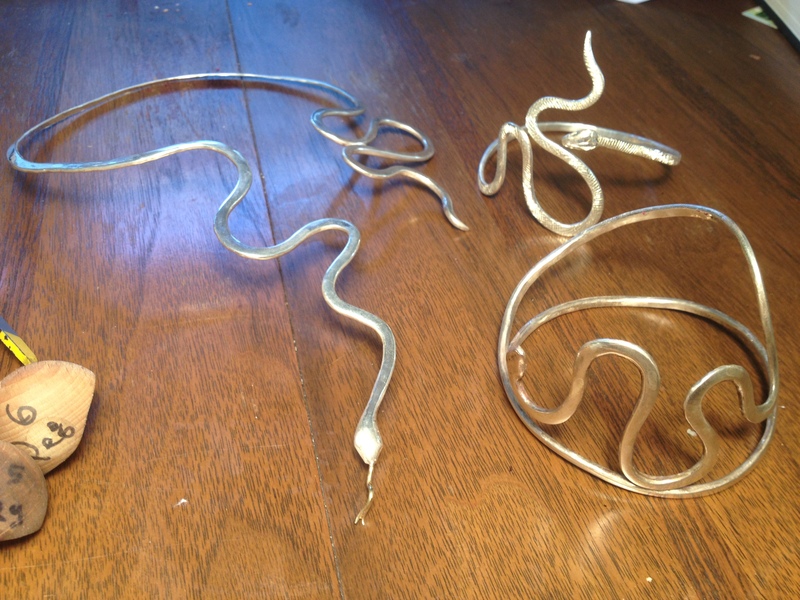 I’m hoping to have all the new snake pieces finished before the Los Angeles Renegade art festival July 20-22. Hopefully I will still have some left for Renegade San Francisco the following week! There is some other work I’ve been making that is not snake-related. I have a few new custom projects including some engagement rings, a fetal heart and a set of kidney “friendship” lockets for a donor and recipient. 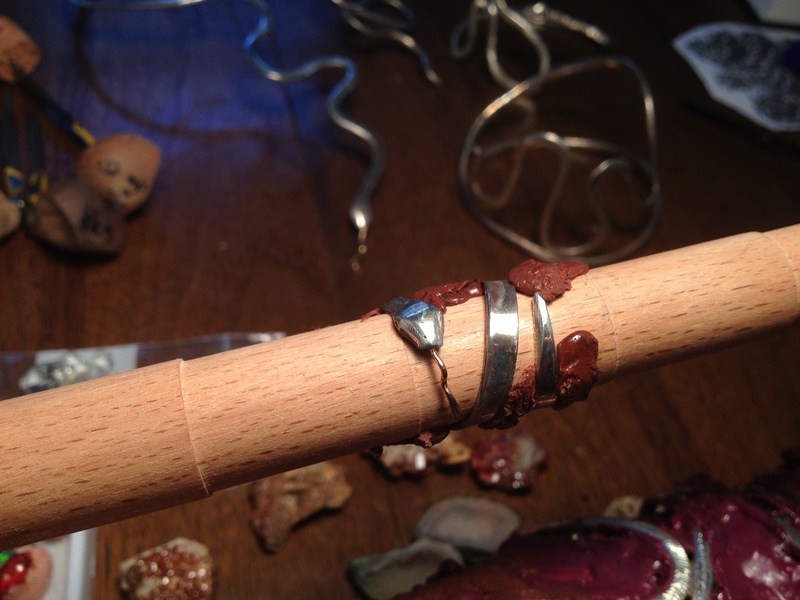 Last month I was in Florence taking a short granulation workshop with Harold O’Connor at Le Arti Orafe. Granulation is the technique of fusing tiny balls of metal. 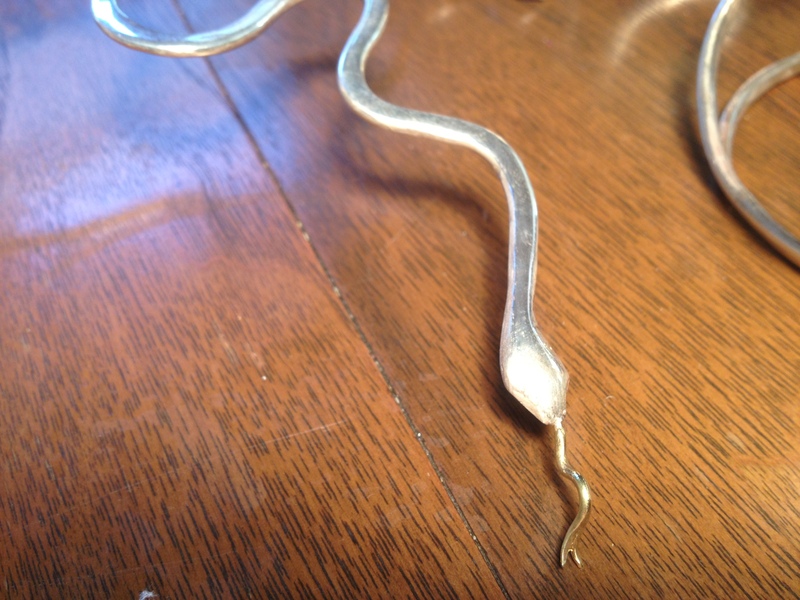 I have been using it to add alveoli to my lung necklaces, and 22k gold diamonds on my snake heads. More pics of everything both finished and unfinished will be coming soon!